Should You Do Genetic Testing on Embryos Before IVF? Baby making isn’t what it used to be. Now, in addition to doing it the old-fashioned way, hopeful parents have a wide range of options to help deal with fertility challenges. For some, this doesn’t necessarily mean there is difficulty achieving pregnancy, but rather, concern over passing on any of their genetic or chromosomal conditions to their future children. Now, thanks to a procedure called preimplantation genetic diagnosis, we are able to test the genes and chromosomes of an embryo for nearly 400 different conditions — including muscular dystrophy, sickle cell anemia, cystic fibrosis and Tay-Sachs — that may be carried by one or both genetic parents. Before we go any further, it’s important to note that in order for PGD to take place, the embryo has to be created via in-vitro fertilization. In other words, the testing is done on embryos in a lab before any are implanted into a uterus. Even if someone is able to get pregnant without using IVF, if they would like to do PGD, the embryo must be created outside the body in order for the testing and diagnosis to occur. This means that the process is likely to be costly and financially out of reach for many. But if you are someone in a position to access PGD and are considering the procedure, here’s what you need to know to help make your decision. First, an embryo is created via IVF. 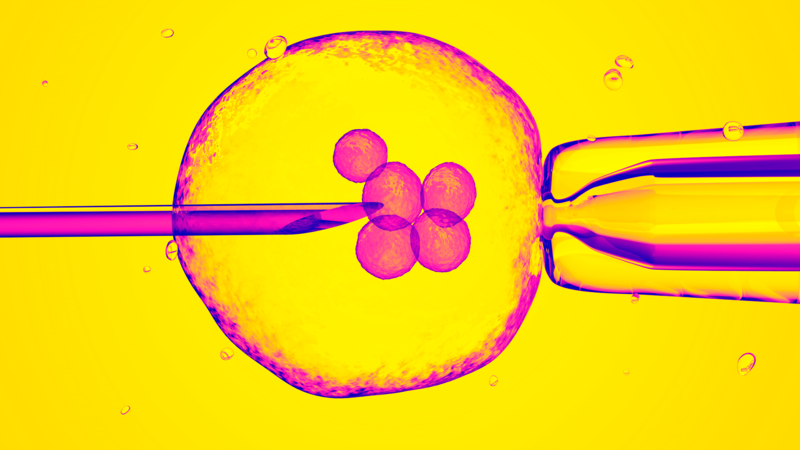 After five to six days growing in the lab, any embryos that reach the blastocyst stage are biopsied and frozen, Dr. Eric Forman, medical and laboratory director at Columbia University Fertility Center, tells SheKnows. A strategy to test for specific genetic conditions is developed in advance, and the DNA in the biopsy is analyzed, he explains. The DNA is extracted at a time when removal does not affect the ability of the embryo to progress in its normal development, Dr. Gerardo Bustillo, an OB-GYN at MemorialCare Orange Coast Medical Center in Fountain Valley, California, tells SheKnows. The embryo is then frozen until results of the genetic analysis are available, he adds, noting that only the healthy embryos are selected for transfer into the uterus. Who is a good candidate for PGD? According to Dr. Mandy Katz-Jaffe, scientific director and reproductive geneticist at CCRM, anyone who has a known inherited gene defect in their family that causes a genetic disease would be a good candidate for getting PGD on IVF embryos. Is this the same technology used to create “designer babies”? In short, no. PGD is not the same process used to make so-called “designer babies” (where parents can select physical traits like eye or hair color). “PGD doesn’t change genes or create anything; we are only identifying embryos that do not have a disease-causing mutation,” Katz-Jaffe explains. However, Bustillo says that in theory, the PGD technology may make it possible to select some physical characteristics if a certain trait can be localized to a specific gene on a particular chromosome. But at present, when someone opts for PGD, they are doing so to prevent genetic conditions — not implant embryos that will result in babies with a particular eye color. Are there any downsides to PGD? As with any new reproductive technology, people may be skeptical about the procedure and any potential downsides. But Katz-Jaffe says that there are none. Bustillo, on the other hand, emphasizes that PGD is not possible without doing IVF first, which can be expensive, inconvenient and carries certain risks, such as ovarian hyperstimulation and multiple gestation, including twins, triplets and beyond. In addition, he says that the technical process of PGD can result in the loss of some embryos, and misdiagnoses are possible from problems with the technology. Forman adds that though insurance does not always cover IVF and PGD, the costs of the procedures are “much less than caring for a child with a serious genetic disorder,” so that’s something else to keep in mind. What should someone considering PGD know? Given the extra expenses associated with PGD — not to mention the other aspects of the IVF procedure — it’s important for anyone considering using this diagnostic test to understand their options. For instance, Bustillo says that conventional prenatal diagnostic techniques (like amniocentesis, chorionic villus sampling and fetal blood sampling) are more widely available, have a longer track record and are significantly less expensive than PGD. Similarly, others may appreciate knowing that by selecting to implant an embryo without a genetic condition, they are not only impacting the life of their future child, but their descendants as well. “This incredible option gives couples the ability to eliminate the disease-causing mutation from their family tree for generations to come,” Katz-Jaffe says.